Bendigo stalwarts Four Lions are roaring into the new year, starting tomorrow (February 1) with their first gig of 2019. They are a featured act at Summer In The Parks, an all-ages free event taking place at Crook St Park, Kennington – where the band’s 2018 album Live At Crook St was recorded. Four Lions will be on stage from 6.30pm for their hour-long set, which coincides with the release of their new single How Much. It takes pride of place on the band’s fourth album Hard Days, due out on May 1 on their label Verse Chorus Verse. Frontman Shann Lions said the band was looking forward to launching How Much, and returning to play in the parks. “We’ve worked harder on this record than anything else we’ve put out, and the first single is reflective of that. We’re just hoping people dig it,” he said. Summer In The Parks also marks the public debut of Bradley Bradford, who has replaced foundation bassist Greg Perry after his amicable departure from the band earlier this month. Bradford, who boasts a wealth of experience with touring bands in his native England, relocated to Bendigo several years ago. He quickly made a name for himself on the local music scene, playing with alt-country rockers Steve Saxton and The Gentlemen and virtuoso prog-instrumentalists The Tyson Hodges Trio. 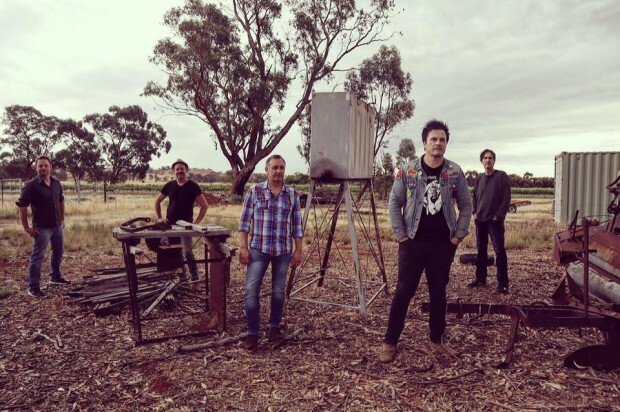 After Summer In The Parks, music lovers should head down to the Golden Vine for Echuca-based singer-songwriter Sean Orr and his band’s melange of indie pop, folk, blues and soul, supported by special guest Daniel Aaron. From 9pm; entry $5. Dorado will be singing the blues at the Vine on Saturday night. From 9pm; entry $5. Renowned Melbourne singer/cabaret performer Jeff Duff is bringing his acclaimed Bowie Unzipped show to Ulumbarra Theatre on Sunday. 4pm; entry $44-$49. Singer-songwriter Keith Harkin, formerly of Irish folk collective Celtic Thunder, will roll into Mister Bobs on the Down Under leg of his world tour on Sunday. Show starts at 7.30pm; entry $44-$64. Also live in Bendigo next month, psychedelic rocker Rowboy’s sci-fi loop show will cap off a night at the Golden Vine that also features acoustic singer-songwriters Acoustic Foxx (Melbourne), and local chanteuses Bridget Robertson and Steph Bitter. February 8, from 9pm; entry $5. Hard rock outfit Smashed Pie will turn up the heat at the Golden Vine, supported by Jim Martens (Born Of The Stone, Fields Of Reign) performing solo and unplugged. February 9, from 9pm, entry $5. Indie folk-country singer-songwriter Grim Fawkner will bring the Sunday vibes to the Old Boundary Hotel. February 10, from 2-5pm, free entry.